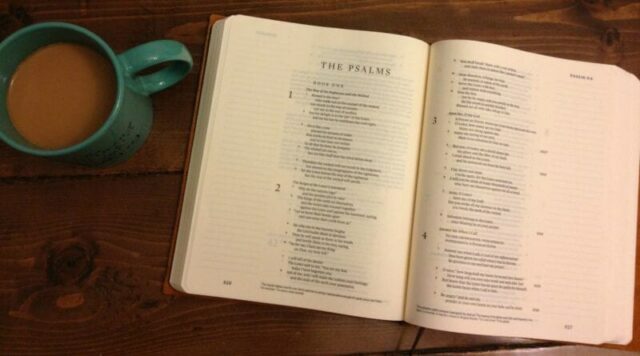 When Journaling Bibles first came out, I was pretty immediately smitten, though I didn’t purchase one for many months. I’m always a little nervous to get a new Bible, which may sound kind of weird. I get pretty attached to the current Bible I’m using. I love taking notes, underlining, high lighting, putting dates and little notes in the margins. I have Bibles that I’ve used for years with so many notes in it that it becomes like an old friend. I am not always eager to replace them! However, in recent years, I had been through 4 or 5 Bibles that kept tearing on me. I was ready to get a new Bible with a quality cover on it that wasn’t going to tear or have pages start falling out. So, I started looking into the journaling Bibles with the leather covers on them. 2 Christmases ago this was my Christmas gift to myself! And, oh, how I love my Bible! Do I worship my Bible? No. But I worship the God whose words are contained and through it I come to know and love Him even more. He transforms me through the pages of His Word. He allows me to know Him more through His very words. So, yes, His Word is very precious to me. Through His Word we can behold our God, we can know the God of the universe. 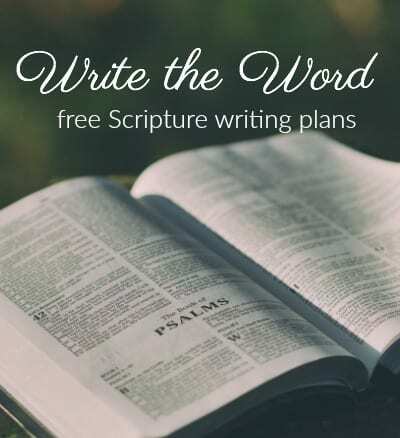 Now that Journaling Bibles have been around for awhile, there are so many options! So, I wanted to show some pictures of my Bible as well as some other lovely options! If you already have a Bible that you LOVE, getting a journaling Bible may seem unnecessary…and I say stick with the Bible that you already love! 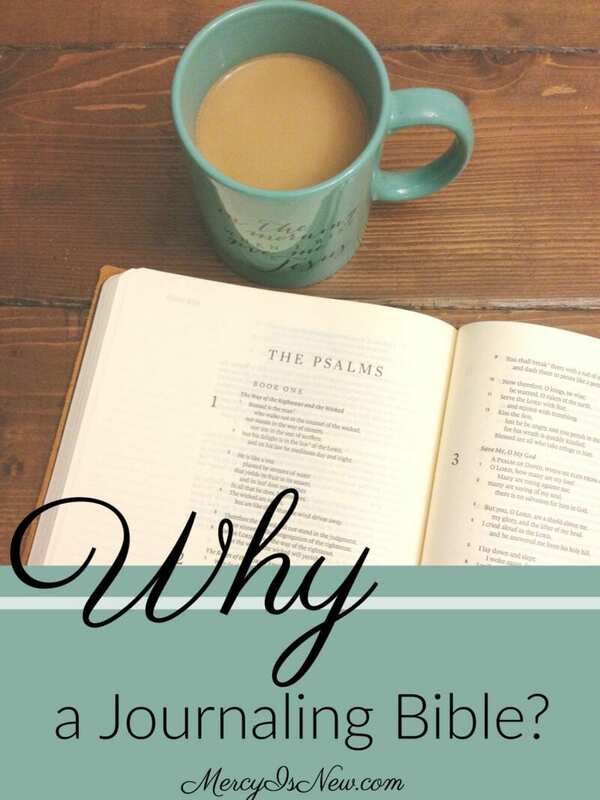 But, if you’re trying to decide on a new Bible, I want to just share with you the reasons I love my journaling Bible! Wide Marins — My very favorite thing about journaling Bibles is the wide margins. For many years I’ve been one to write little notes in my Bibles. Usually only a few words will fit. I will mark a phrase or verse that a pastor shares in a sermon or maybe a few words of a prayer for my family. But, with a journaling Bible, you have wide, lovely margins with which you can write entire sentences! Even paragraphs! 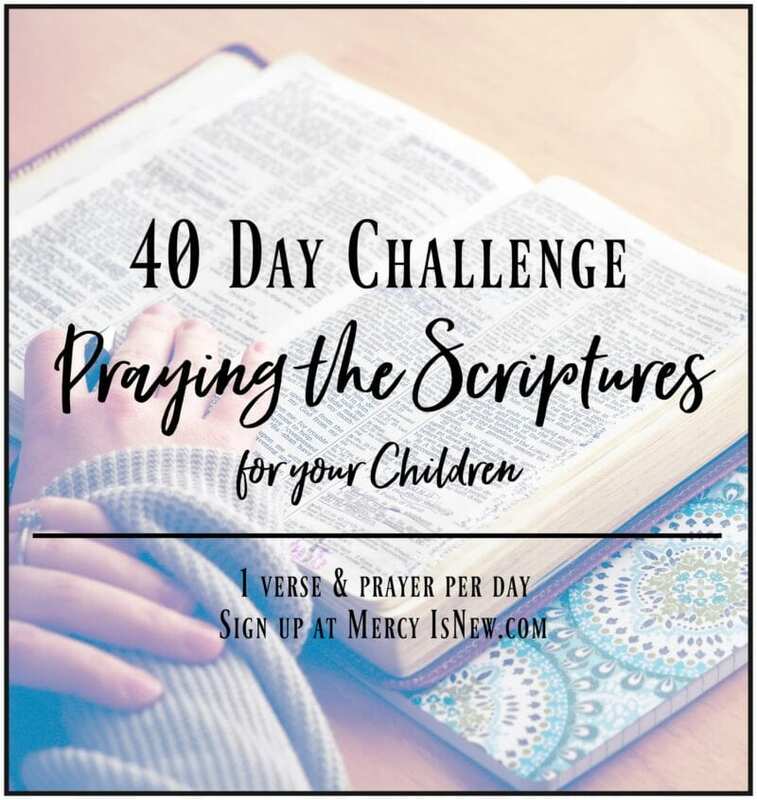 Prayer Journal + Bible — because of the wide margins, you can have more room to write in prayers, answered prayers, the date you prayed something and prayers for your family members. 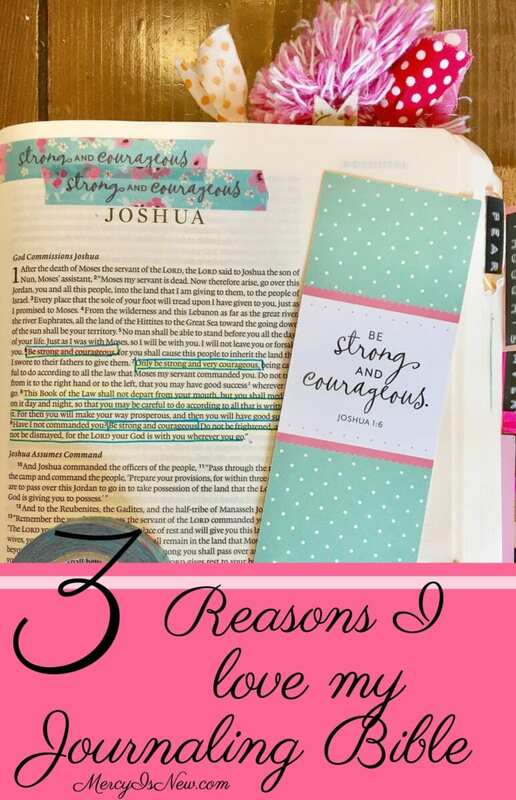 I love this idea so much I wrote a whole post on using your journaling Bible as a prayer journal! I would love to hear from YOU! 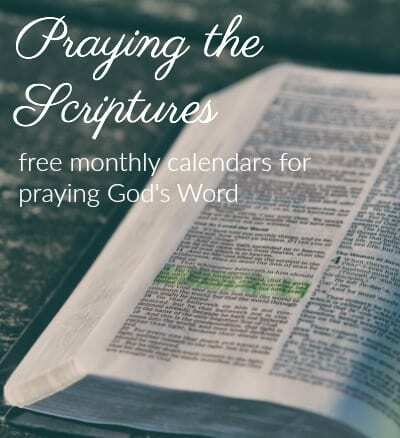 Do you have a journaling Bible? What do you love about it?